According to the USDA, hamburger meat is not the same as ground beef. 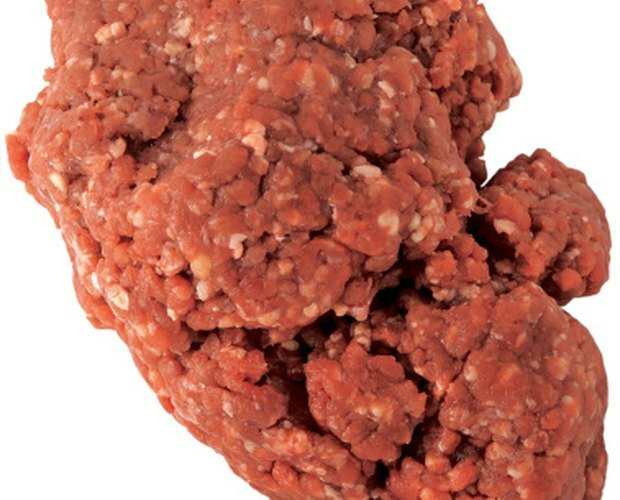 This national food overseer allows beef fat to be added to "hamburger meat" during processing but not to ground beef. Besides this fatty difference, the process is relatively the same. 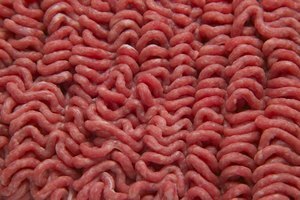 Because hamburger meat is ground, a larger portion of it is exposed to dangerous bacteria such as Salmonella or Staphylococcus. To avoid consuming tainted meat, you need to know how to check the freshness of hamburger meat without tasting it. Examine the hamburger meat packaging to find the "sell by" date. This retailer-set date tells the consumer when he should throw the package away. If the current date is past the "sell-by" date, consider the meat to be bad. Open the packaging of the hamburger meat using a knife blade. Cut along the edge of the packaging, piercing the plastic cling. Sniff the hamburger meat. If the meat smells sour or rotten, it is bad. Look at the color of the hamburger meat. 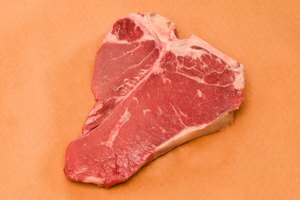 If the meat's color has changed from red and pink to entirely white, gray, or brown, the meat has gone bad. 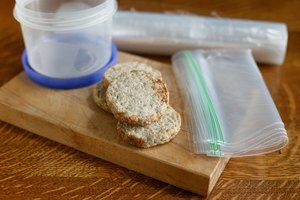 Promptly freeze or refrigerate meats as soon as you bring them home from the grocery store. Partially cooking meat before freezing or refrigerating may attract more bacteria. Wash your hands and work surfaces thoroughly after handling hamburger meat. Throw away any raw meat left out of the refrigerator for more than 1 hour. Simple Nourished Living: How Long is Hamburger Meat Good For?